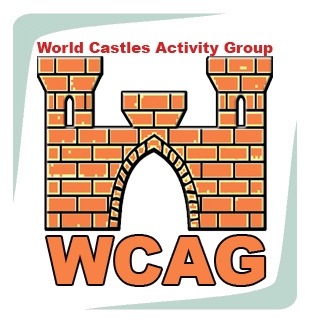 1. International club of radiohams “WCAG – World Castles Activity Group” is the voluntary noncommercial organization created on the basis of the common interests. – establishment of friendly contacts between radio amateurs, clubs and the organizations the interested fortification subjects. Membership in WCAG is voluntary, lifelong and free of charge, realized on the basis of the application form which should be sent by post or by e-mail. – fulfiled a conditions of any diploma of any national castles and fortresses award program or conditions of “World Castles Award” (WCA). 5. Each WCAG member gets a membership number and the registered certificate, and has the right to place the WCAG emblem on the QSL-card. 6. Each member has the right to give one’s wishes, offers, requests and ideas for development and implementation of WCAG goals and objectives. 7. Each member has the right to leave WCAG off one’s own bat. – postal address, e-mail (if there is), homepage (if there is). 10 CT1GFK Antonio Rebelo G.
37 DA0CW DARC Clubstation OV-S.
54 RA0AR Orlov Yuri A. 55 UF0A Shakhmatov Alexander P.
56 RA0AGA Skorobogatov Vladimir P.
57 RU0AFT Mikhailov Vladimir A. 91 UU9JGR Chernyj Vitaliy D.
WELCOME TO JOIN IN WCAG!